OSForensics portable is a new digital investigation tool which lets you extract forensic data or uncover hidden information from computers. 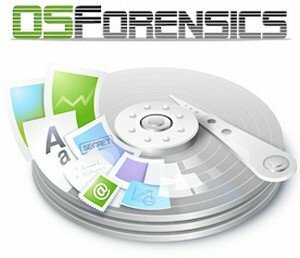 OSForensics has a number of unique features which make the discovery of relevant forensic data even faster, such as high-performance deep file searching and indexing, e-mail and e-mail archive searching and the ability to analyze recent system activity and active memory. OSForensics can build and let you view an events timeline which shows you the context and time of activities. You can even recover data and files that have been deleted by users. OSForensics comes with a built-in file viewer which lets you examine a file contents, properties and meta-data, as well as an e-mail viewer which is compatible with most popular mail client formats. Added support for mounting an image file as a “group” device. Partitions are listed as a folder of the top device. Updates to handle indexing Apple’s APFS file system (indexing encrypted volumes is not supported, but coming soon). New “broad numeric matching” feature. Allows for better searching of currency values and part numbers with hashes in the number. Added Precognitive Search feature, return matches for trigger keywords during the “Create Index” process. So you don’t need to wait for the indexing process to be completed before seeing the search results. It is also possible to use pre-made word lists with the Precog search. Apple’s APFS file system is now supported. Including support for compression (zlib & lzvn) and encryption. So you can browse and search files from a Mac machine in Windows. Added copy Logical Android Image. Will obtain files off Android device using ‘adb pull’ command over a USB connection. To use this with a device connected over USB, you must enable USB debugging in the Android device system settings, under Developer options. So the device needs to be unlocked to do this. Added checkbox to link the selected file in the list (file name search, mismatch search, etc…), and the current file in the internal viewer. This allows for faster selecting and previewing of pictures. Now displays available dictionaries before file is selected, will display an info message when a 40bit encrypted file selected (which don’t use the dictionaries). Fixed bug with “View Cell with internal viewer” returning “Not an Error” message.